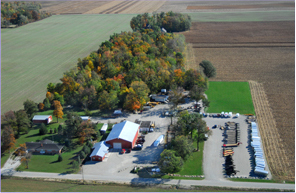 Frenchtown Trailer Sales & Supply Co. of Versailles, Ohio, has grown from a small home-based business in 1993 to our current location with nearly 200 new and used trailers on our lot! In addition to trailer sales, we also have a full-service repair and fabrication shop as well as hitch installations here in Ohio that can handle any parts or service request you have. We carry a full line of ATV, enclosed, horse/livestock, and utility trailers as well as specialty trailers from well-known manufacturers like Aluma, Interstate, PJ and U.S. Cargo here in Ohio. As your specialty trailer dealer we offer new & used heavy duty, horse, ATV and utility trailers for sale. We are an authorized Belshe Industries trailer locator. Review the Belshe heavy duty trailers on our site then call us in OH toll-free at (866) 217-7440 to find the dealer nearest you! Our staff is well-trained, dependable, and ready to serve your every need! We are in the business of helping our customers find new or used ATV, dump, equipment, utility, enclosed, horse and livestock trailers and trailer or hitch parts for their service needs. Contact Us or call at (866) 217-7440, for more information about our PJ, Aluma, Interstate and U.S. Cargo trailers and Belshe heavy duty trailer locating service available here in Ohio.